Ireland has always had a love affair with Hollywood. It is a modern day chapter of The Wild Geese Story. Talent has flocked from Ireland to carve out a career in California. The Golden Age of Hollywood saw the rise of George Brent (1899-1979), a 'dark haired charmer', left Ireland in 1925 and headed to the US. He started touring with production companies, performing across many different states and eventually appearing on Broadway alongside Clark Gable in 'Love, Honour, and Betray'. In 1930 Brent moved to Hollywood and starred in his first film 'Under Suspicion', starting an extremely rich career. His most frequent co-star was Bette Davis and the two maintained a very close relationship, even up to his death in 1979. 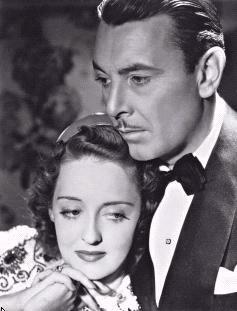 George Brent brought the romantic charisma of Ireland to the big screen, and captivated audiences of his age. However, he was was only the first part of this love affair. In recent years, other stars from Ireland have resonated on the silver screen. Liam Neeson, Collin Farrell and Pierce Brosnan have now become established actors, recognised throughout the world. 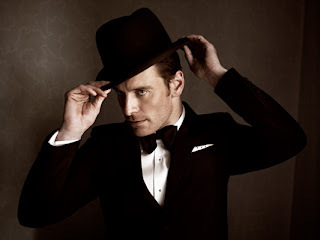 But a new wave of Irish actors is fast approaching and leading the way is Michael Fassbender, who has brought the appealing traits of George Brent to twenty-first century audiences. Fassbender currently lives in LA - a sensible decision as he's currently working Hollywood blockbuster Promethus - but has an exciting heritage. Fassbender was born in Heidelber in Germany to a German father and Irish mother, but his family moved to Killarney, Co. Kerry. Fassbender talking to Irish Central, February 2011. He's quickly building a reputation has bringing sensitivity to the roles he plays, while also keeping them exciting and often on the fringe of hero and villain. He is perhaps at his best playing the Byronic hero Mr Rochchester in Jane Eyre . Fassbender's Irish accent also nearly stole the show in X-Men: First Class, in his dynamic turn as the troubled Magneto. But it was Fassbender's brave portrayal of Bobby Sands, who led the Irish Hunger Strike in 1891, that proved to be a turning point in his career. 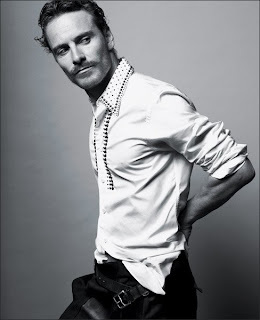 A sensitive role, Fassbender went through a crash diet and restricted himself to only 600 calories per day. The performance really opened audiences eyes to just what Fassbender could do. He received the award for Best Performance by an actor in a British Independent Film at the British Independent Film Awards. Already been dubbed 'an Irish Marlon Brando', its been a long journey from Ireland to Hollywood - taking numerous television roles and even working in a pub while times were hard - but it seems Michael Fassbender has finally arrived, and he's brought with him the remarkable creativity of Ireland. Fassbender likes to return to Ireland when he gets the opportunity - 'Usually I get back around three times a year'. Back in 1691, Sarsfield and his followers took the name 'Wild Geese' as they left their homeland, hoping that one day they would return to Ireland. Its great to see that the call to home is still a powerful force. ** In North America The Wild Geese Irish Whiskey Collection is sold under the "brand name" of "The Wild Geese Irish Soldiers & Heroes"
The Wild Geese, The Wild Geese Rare Irish Whiskey, The Wild Geese Irish Soldiers & Heroes, The Wild Geese Soldiers & Heroes and Untamed are registered trademarks. Made under the authority of the trademark proprietor. © Avalon Group INC. 2002-2011. In North America The Wild Geese Irish Whiskey Collection is sold under the "brand name" of "The Wild Geese Irish Soldiers & Heroes"